The oak tree is an extremely abundant plant in the temperate deciduous forest. 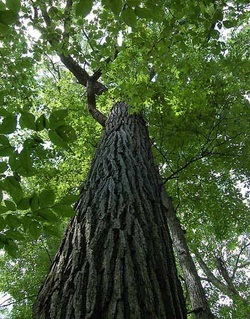 Growing tall and upright, its strength allows the tree to live for hundreds of years if left undisturbed. Oak trees produce acorns which are a common food source to many living organisms in the ecosystem.